Magnificent 1-day tour to the heart of Scotland and the Highlands. An original and varied alternative to the classic Loch Ness route. Quaint villages, glens, lochs, an authentic medieval castle and unforgettable landscapes. We start off the morning by exploring a fairy tale village, Culross, also known as the fictional village of Cranesmuir in the Outlander series. Wander through picturesque streets with their traditional houses, soaking up the peaceful atmosphere. You then visit Castle Campbell and its gardens, towering over a beautiful glen and surrounded by ancient forests. After passing through Stirling’s historical town centre, breathe in the pure air of the Scottish Highlands, and go for a short hike (1 hour approx.). 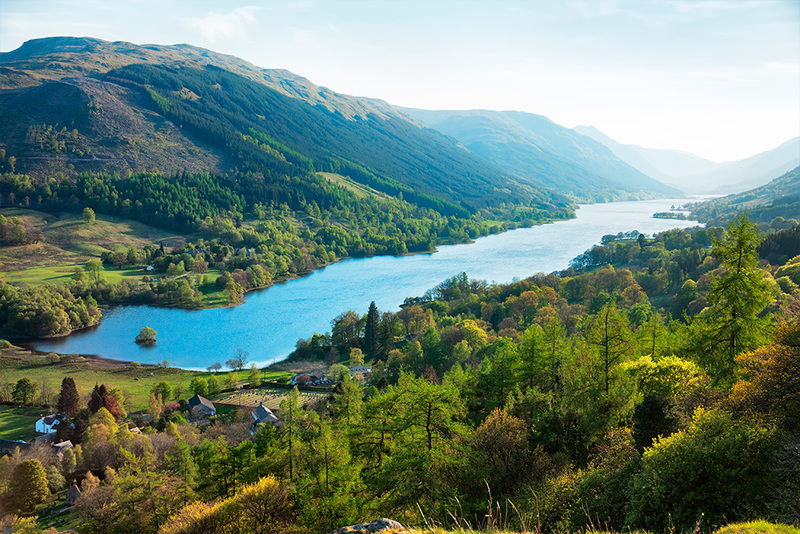 We start at Rob Roy’s tomb, and climb up to one of the most impressive viewpoints of the Highlands. 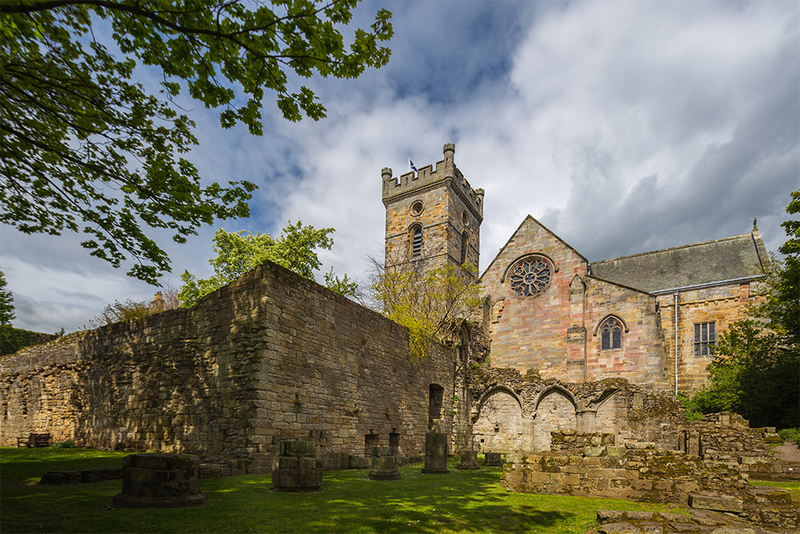 Culross abbey was built in the year 1200. Loch Voil is situated in the Stirling area.